Ready to buy an engagement ring online? Love has struck and now comes the day you never thought would be part of your world… you are going to buy an engagement ring. Perhaps the thought of buying something very expensive, from a slick salesman dressed in a suite does not appeal to you. Perhaps you wonder who is paying for all the expensive, lights, fixtures and salespeople in the high end local mall. If your looking for a better way to buy an engagement ring, you need to read these 5 reasons why you should buy your engagement ring online from a reputable retailer like Novori Jewelry. 1. Savings – The exact same ring will cost less online. If you do happen to find identical rings in a store and online, the ring online will cost less because of the lower overhead to sell it to you. It will be made of the same exact materials but the price tag will be lower. At Novori we guarantee our prices. We even custom make our rings and they are solid and made in the USA to help our economy. Cheaper products (I mean cheaper quality!) are known to come from India or China. Go with known quality – go with Novori. Ready to save some money? – Buy your ring online. 2. Convenience -Do you hate fighting mall traffic as much as we do? Shop online ANYTIME you want. Here is the link: www.novori.com We are open anytime, all the time. Need help and want to talk to a human voice, we are a phone call or a few clicks away with online chat. You can shop when you want, how you want and we are always there to help when you need us. Sound convenient? We thought so too. 4. Quality -Since we make the rings here in the USA, we control the quality. We inspect every certified diamond we sell to ensure the quality. We might even recommend a different diamond for you based on what we see. We care about the product you buy from us and we want you to be one of our valued customers who love our products. Quality comes first and we make them right. At Novori we specialize in custom quality engagement rings made right. 5. Value – Do you want more for you money? 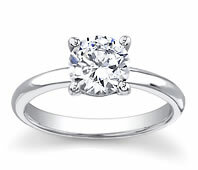 If you buy at a jewelry store in a mall you will get a cheaper, smaller ring than you would if you bought online. A $1000 ring bought from Novori will have a larger diamond and be custom made because you money can buy you more when you buy a ring online. Our overhead is less and our markup is less than a traditional jewelry store. Don’t take our word for it – shop online and compare. It’s easy to do when you are online. Of course there are more than 5 reasons that you should shop online but convenience, value, quality, selection and savings have got to be on your list. We are here to help with your online engagement ring purchase and would be pleased to assist you with your important purchase.